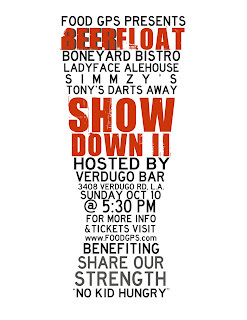 In a sequel that is more than welcome, Josh Lurie of FoodGPS will be hosting the second L.A. Beer Float Showdown on Sunday October 10th at 5:30 PM at Verdugo Bar in Glassell Park. 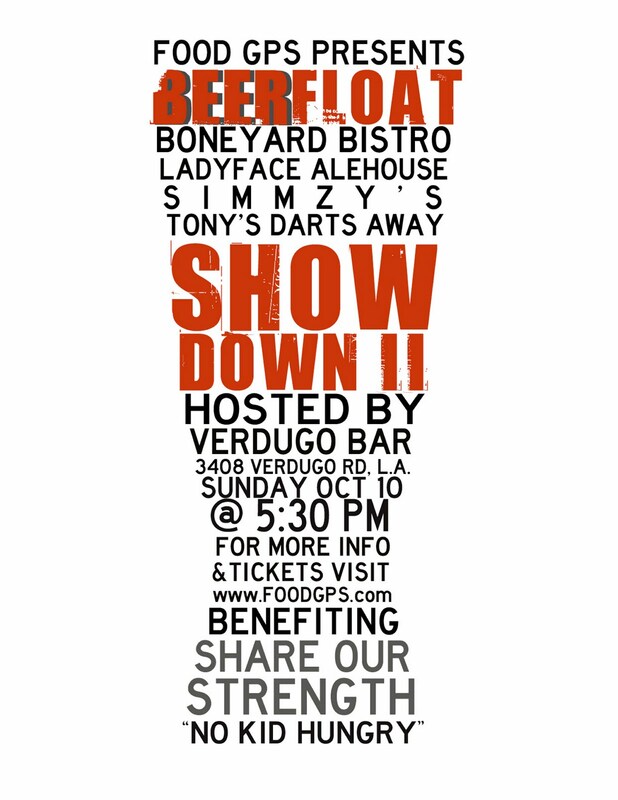 The showcase showdown will feature four teams competing to create the best beer float in LA. Last year Golden State and Scoops teamed up for the grand prize, but as they are not able to defend their crown this year, it is anybody's game. The competitors are Boneyard Bistro, Ladyface Alehouse, Simmzy's and Tony's Darts Away. Each competitor will make a float which will be judged by those in attendance based on flavor and originality. Tickets are $25 in advance or $30 in cash at the door, and half the proceeds will go to benefit the great charity Share Our Strength. If you want to be a judge, you don't need a degree in chemistry or experience as a judge on Iron Chef America, all you need is to purchase a ticket and be ready to cast your vote. To help you feed your belly with food as well as beer, Josh has arranged for the Manila Machine and Mandoline Grill food trucks to be stationed outside Verdugo Bar to sell their famous eats. This event is part of LA Beer Week, the second annual festival of all things sudsy here in Los Angeles. Click the Pay Now button on the post here to buy tickets.